The Gamers' Deck for Agricola is a new set of cards for Uwe Rosenberg's boardgame hit. The 59 Minor Improvements and 60 Occupations can be played as a stand-alone deck or shuffled into other decks. 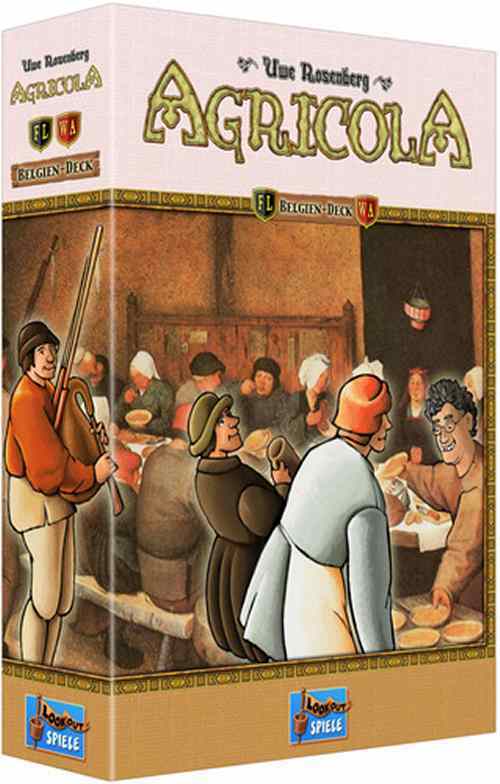 The card set was designed and tested by users of the internet portal play-agricola.com. Play there and create your own cards! Life is not easy for a Farmer on the Moor: each player starts the game with 5 Forest and 3 Moor tiles on their farm (1). Fortunately, though, there are new Special actions, which allow players to make even these areas usable (2): "Fell Trees" provides an additional 2 Wood, "Slash and Burn" converts a Forest tile to a Field, and a player who "Cuts Peat" receives 3 Fuel. This expansions adds Fuel (3) as a new, extra currency in the game (beside Food). Players need it top heat their homes during the Harvests. Heating costs are reduced through renovation, so there is reason to renovate early in the game. Players are rewarded well for horse breeding: each horse is worth 1 point at the end of the game. 14 additional Major Improvements (5) are added in "Farmers of the Moor". There are new Special actions allowing users to acquire Imrpovements (6). Players can also choose to play with the additional Minor Improvements (7) that are included with this expansion. 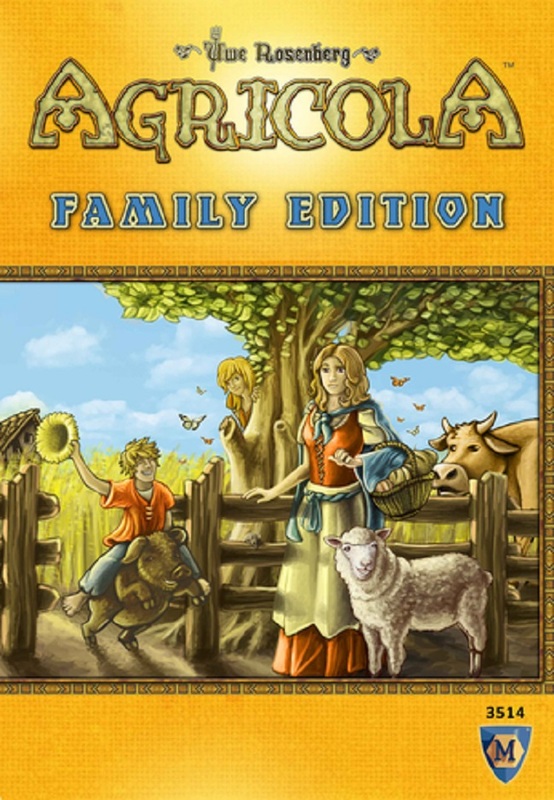 This gives the "Farmers of the Moor" expansion some of the variety in gameplay that has made the basic game so popular. 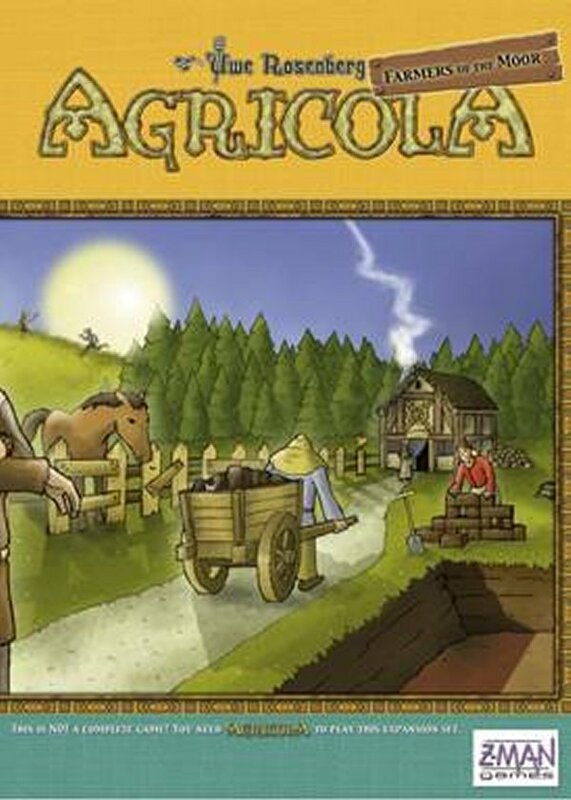 Play Agricola with a new thematic setting! Discover the Netherlands - a small country with more than just the stereotypical windmills, cheese and tulips. The NL-Deck for Africola is a new set of cards for Uwe Rosenberg's boardgame hit. The 60 Minor Improvements and 60 Occupations can be played as a stand-alone deck or shuffled into other decks. 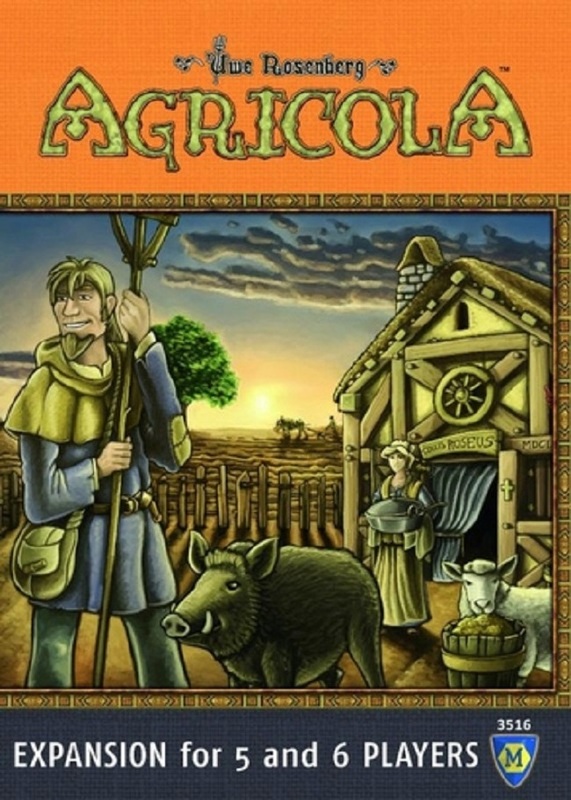 Agricola: Belgium Deck brings Uwe Rosenberg's farming game to a new thematic setting! Discover Belgium's two largest regions – the Dutch-speaking region of Flanders in the north and the French-speaking region of Wallonia in the south – in this 120-card set that consists of sixty new Minor Improvements and sixty new Occupations. 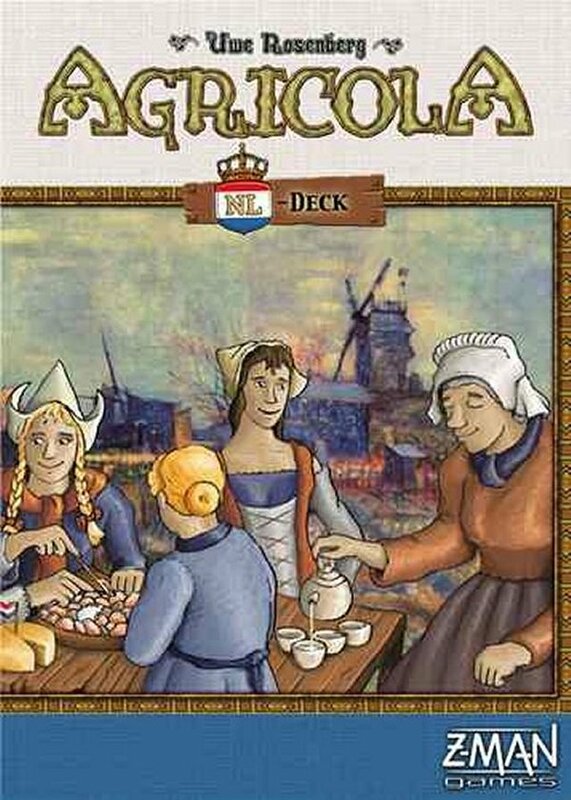 Agricola: Belgium Deck can be played as a standalone deck or shuffled into other decks. 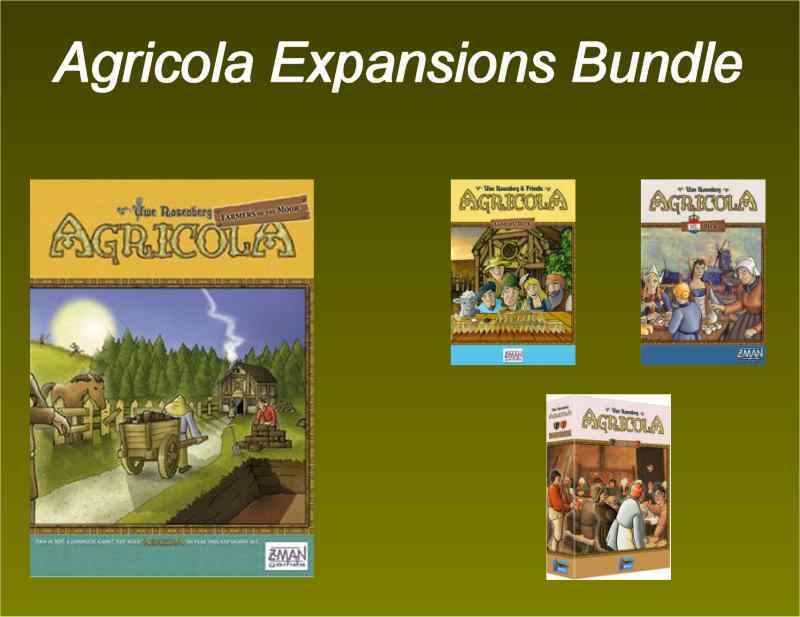 Requires the Agricola core game to play this expansion deck.